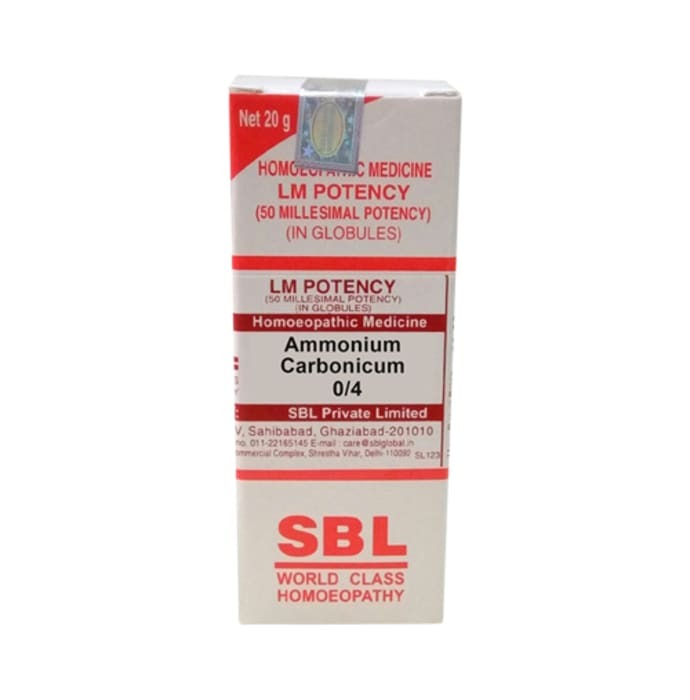 SBL Ammonium Carbonicum is a stimulant, produces perspiration and is also a cough expectorant. It helps to increase the alkalinity of blood and reduces coagulation tendencies. It is very helpful against nasal catarrh. 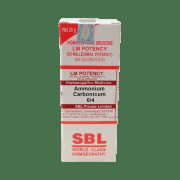 A licensed pharmacy from your nearest location will deliver SBL Ammonium Carbonicum 0/4 LM. Once the pharmacy accepts your order, the details of the pharmacy will be shared with you. Acceptance of your order is based on the validity of your prescription and the availability of this medicine.